Docked at Warnemunde and went by train from port to Berlin- a journey of just under 3 hours. 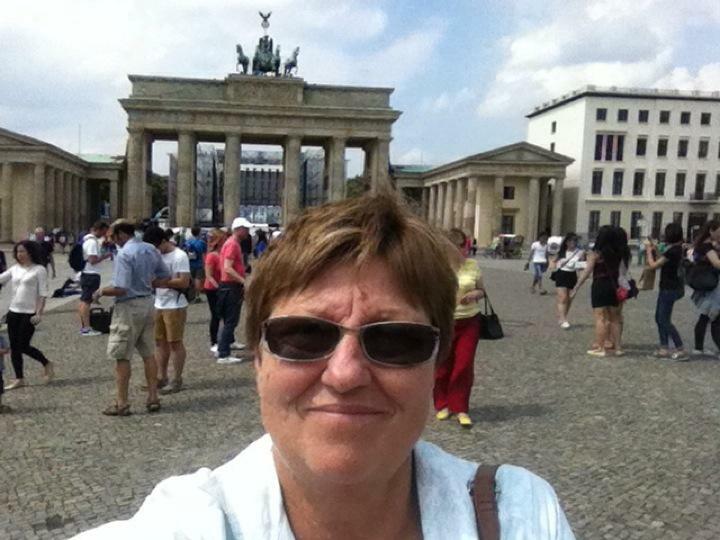 Went straight to Checkpoint Charlie for photo stop, then to Berlin Wall memorial and the Brandenburg Gate. Saw many sights - Concert Hall, Tiergarten, Victory column, White House, oyster shell, Reichstag, Hauptbahnhopf and Berlin Cathedral. Walked from Gendarmenmarkt to River Spree and did a city cruise. Then back to the train station to return to ship. Trip back was much quicker - just over two hours. Time went quickly with beers and snacks!